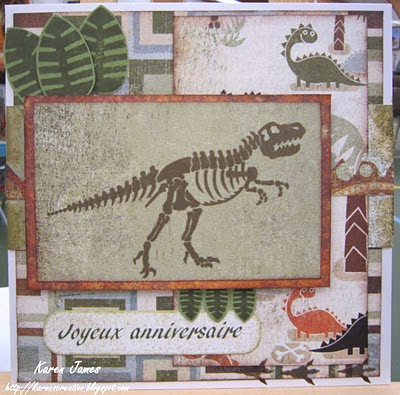 After I had a LOT of goodies arrive yesterday, I have combined the sketch on the Trimcraft forum with A Spoon Full of Sugar 3D challenge to make this quick decoupage card. 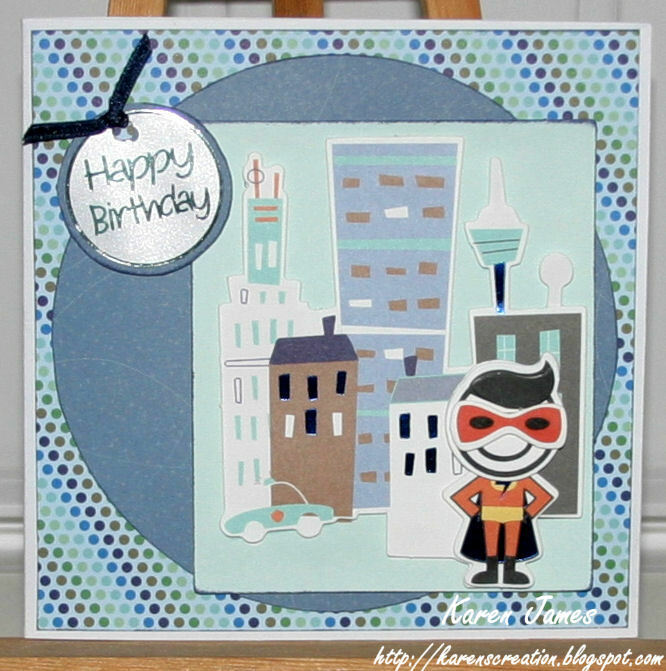 It was super-quick as the decoupage is pre-cut :) I love the fun designs in both the Smirk 'For Him' and 'For Her' packs. Une carte qui selon le sketch chez 'Trimcraft' et le challenge 3D chez 'A Spoon Full of Sugar'. J'ai utilisé la gamme nouvelle de 'Smirk', inclut l'image prédécoupé : Rapide à faire! Used: Smirk 'For Him' 6x6 papers and decoupage pack on Dovecraft card blank, inking the edges of the papers with VersaMagic 'Night Sky' and adding a sticker sentiment on card, also mounted on 3D foam. 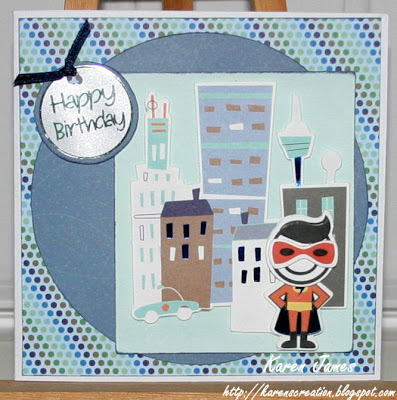 A nice easy challenge on the Spoon Full of Sugar blog this week: Birthday. So here's an unintentionally monochrome card using Tilda, coloured with water-colour pencils, matted on papers from the DCWV Mat Stack 3 with text printed and cut with Spellbinder tags die. 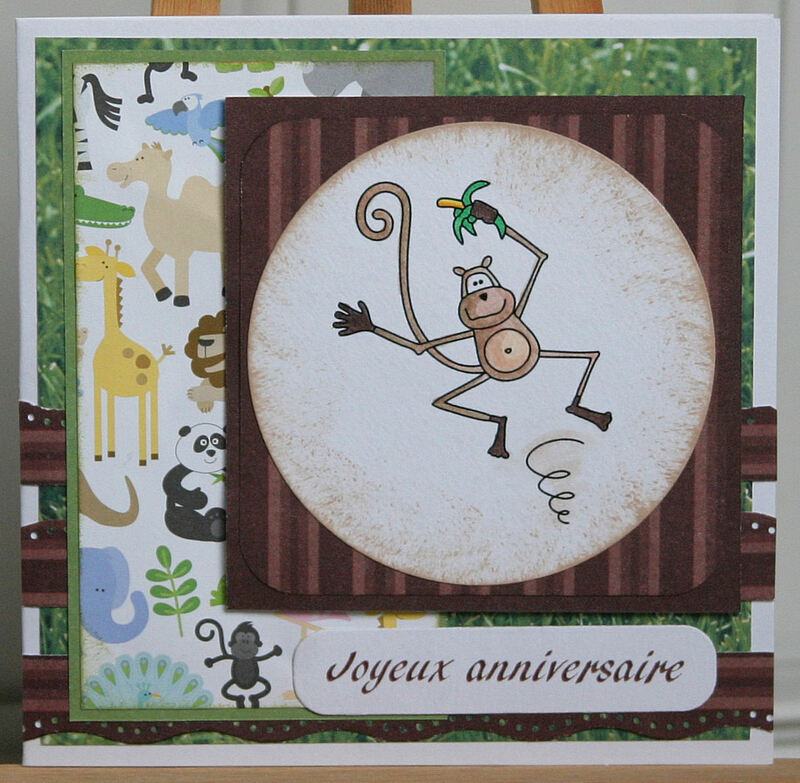 A quick card, animal themed for the Stamp with Fun challenge. 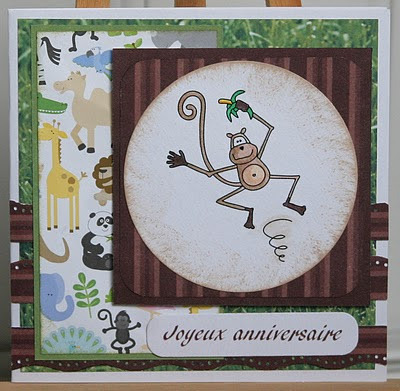 It's a digital stamp from Pink Petticoat, coloured with Distress Ink and markers, edged with ColorBox chalk inks and matted on papers from the DCWV Mat stack 3 and Doodlebug animal print paper. Also used Spellbinders circle and tags dies, EK Success wave and dots punch and a corner rounder. Can't believe it's been so long since I last posted again! And I've made loads too!!! 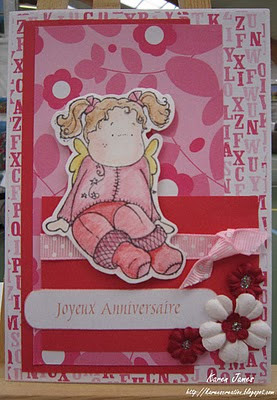 Made this card at a craft fair when the BG challenge first came out and it's taken me nearly 2 weeks to blog it! 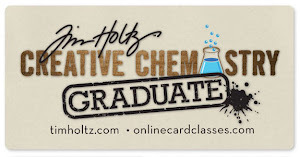 All supplies apart from the card blank and printed text are BG Archaic papers, sticker and stamps. I flipped the challenge sketch so my scary dinosaur was looking into the card at all the cute ones in the background!